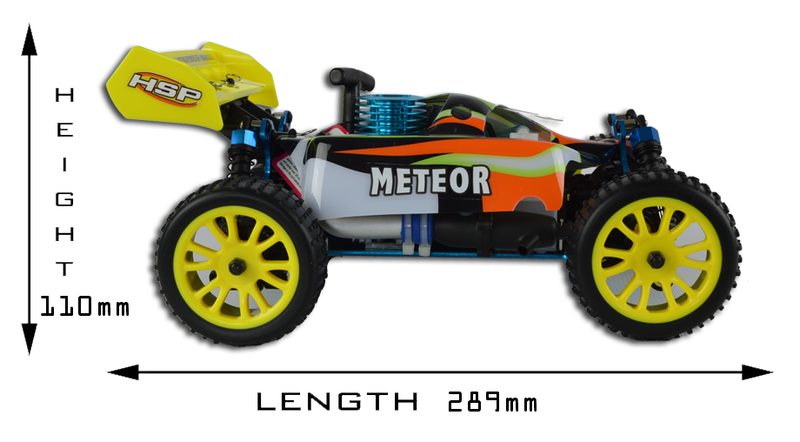 If you are looking for great looking nitro RC car for beginners and best quality is on your must have list as well as powerful nitro engine - Meteor Buggy is the perfect choice. 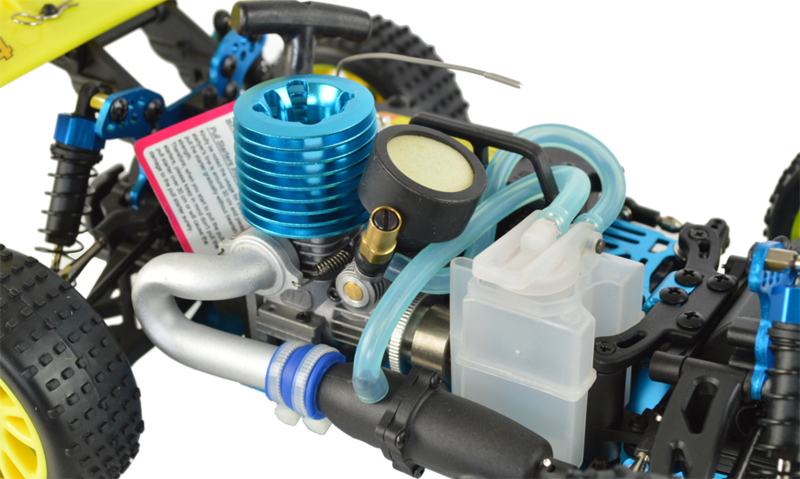 These high spec models have all the features and components of full scale models but at a mini price! Half the size but twice the fun! 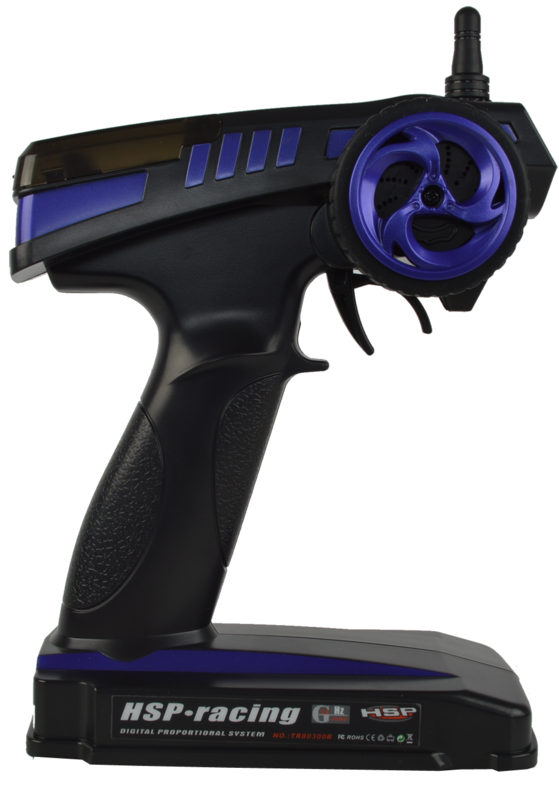 With this product, you earn 142 loyalty point(s). 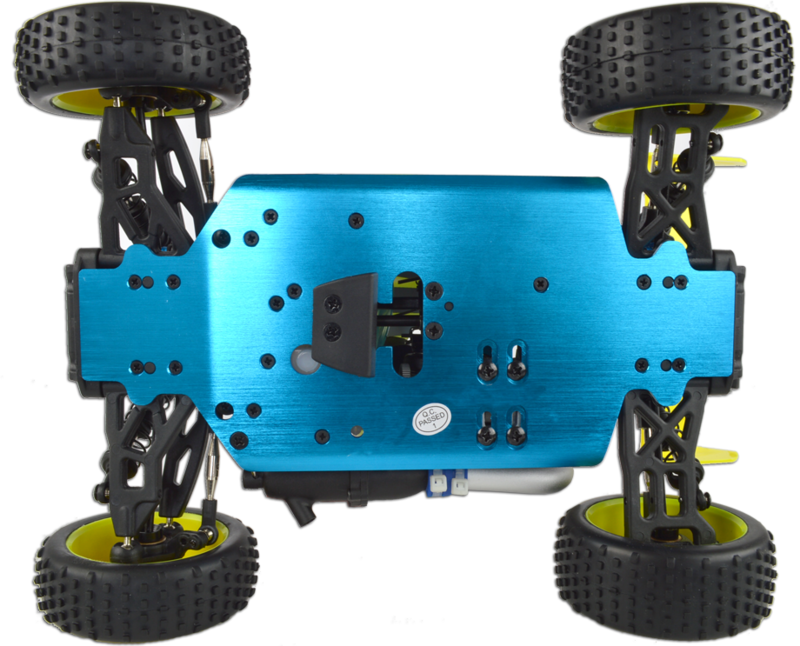 Solid aluminium chassis with countersunk screws is light but strong. Splash guard sides will keep the inside nice and dry. The four wheel drive improves grip when cornering. 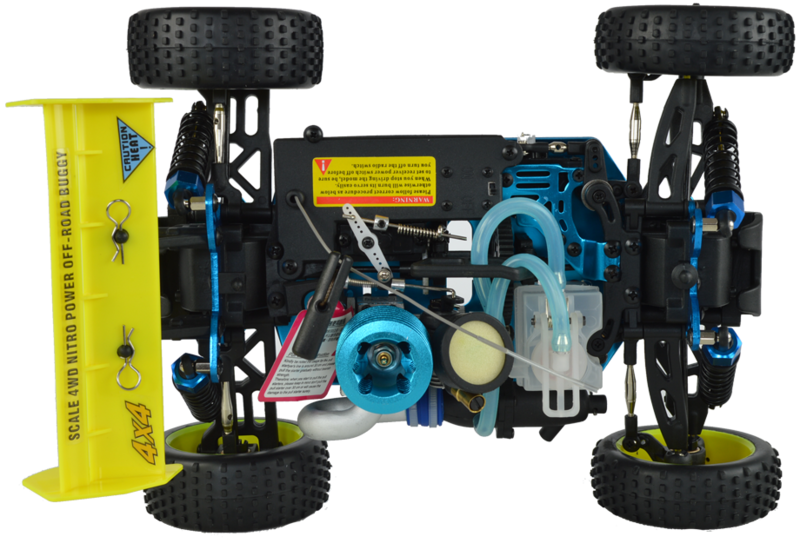 The power is transferred to the wheels via front and rear differentials that further improve handling. 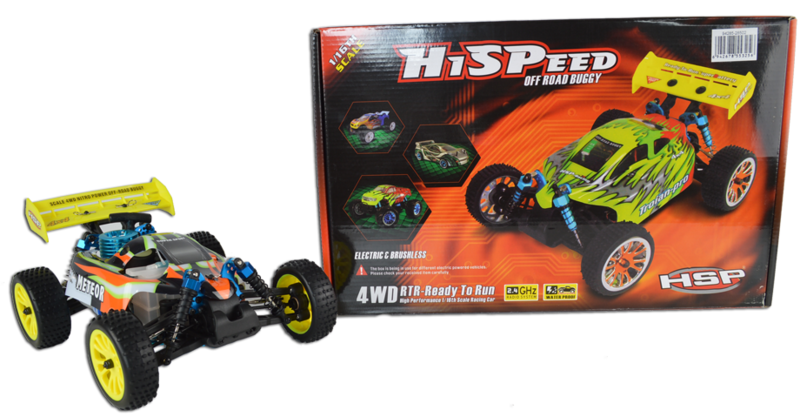 This nifty 1:16 scale Buggy is ready for on and off-road terrain! 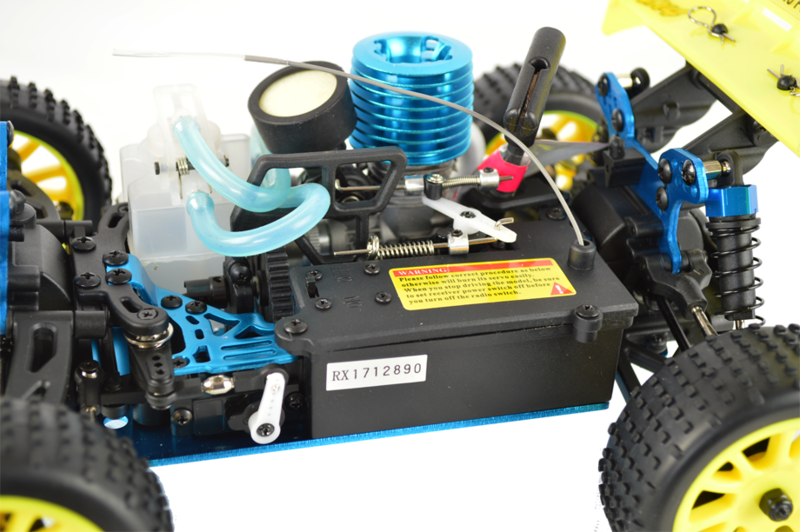 A brand new .07 nitro engine made in Taiwan gives lots of power making the buggy very fast. 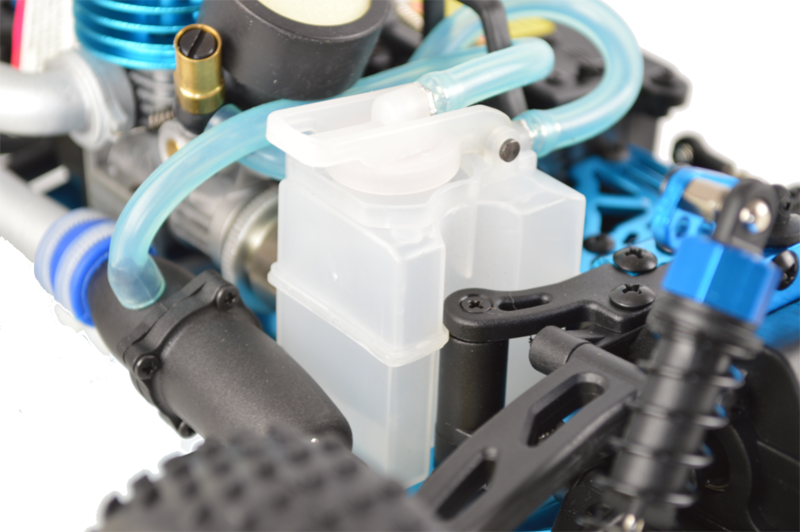 A decent sized fuel tank so you can spend more time racing and less time refueling. Helps keep the electronics protected against dust and water. 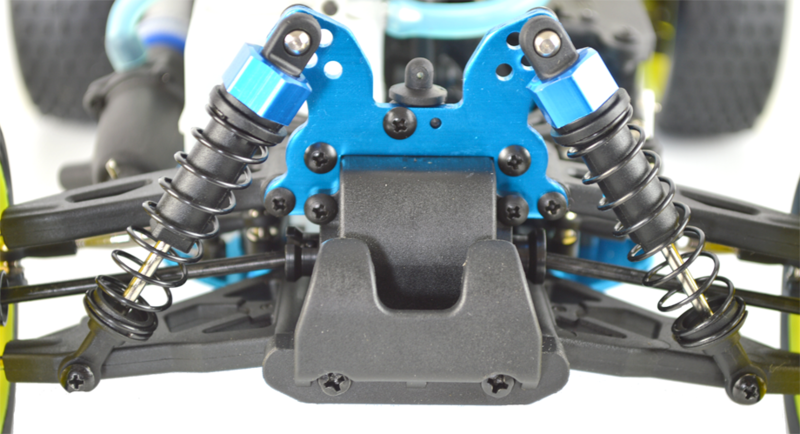 Adjustable aluminium capped oil-filled shocks are mounted to aluminium towers that allow you to adjust the angle and tension.